It’s been about 10 years since I first knew I wanted to become a Graphic Designer; my first glimpse of Graphic Design was when I was in year 9 at school and completed some work experience with a printing company. After college I studied at Norwich University of the Arts where I realised that what I had learned up to that point just scratched the surface of what Graphic Design and branding is and what the industry is all about. Having lectures with design agencies, talks and critiques about my work with Tutors and past Norwich graduates was great. What I learned from lectures, the tutors and other graduates is what helped me become the ideas driven person that I am today. "Being at The Allotment has been a really great experience, getting great insight about how the studio works and what their values and opinions are as a branding agency." All the guys who work here have a really great approach to design and a real passion for understanding the clients problems, getting the best results for them and for finding solutions to these problems. In the (not too distant) future I hope to be working at an agency who value great ideas and branding as much as the guys at The Allotment. 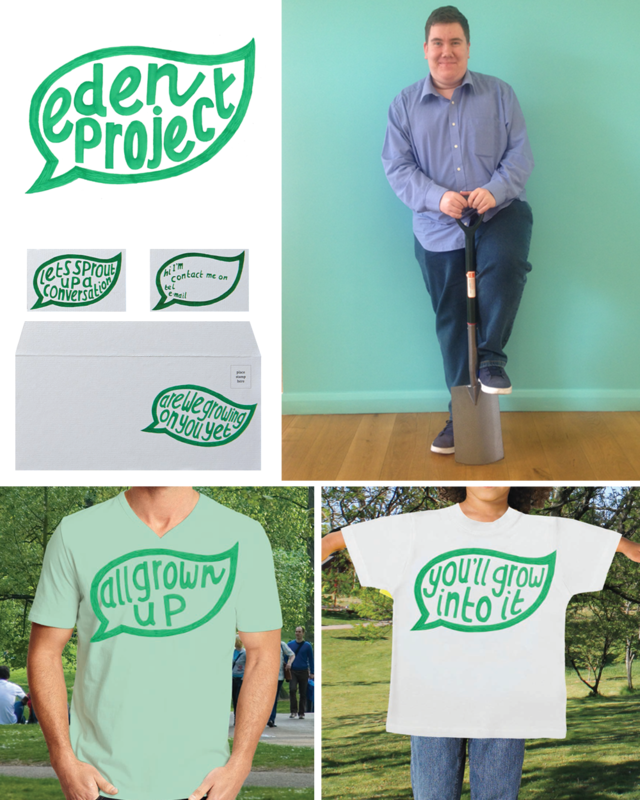 This is just one of my portfolio projects from my final year at University, a rebrand of the Eden Project. The 'big idea' is that the Eden Project's role is to educate and enlighten all of us about the role and potential of plants in the world we live. My idea was to use a leaf speech bubble to hold various plant related communications - a couple of the applications of this are shown above.